Slice of Life: Sign It! Louisiana booth in the Parade of States. Bayou Song was featured at the Louisiana booth at the National Book Festival. This was a fun yet humbling experience. Kids crowded our table wanting Mardi Gras beads and a stamp from our state. I stood on the side like a protective mother to my book. Occasionally an adult would take interest and want to talk. 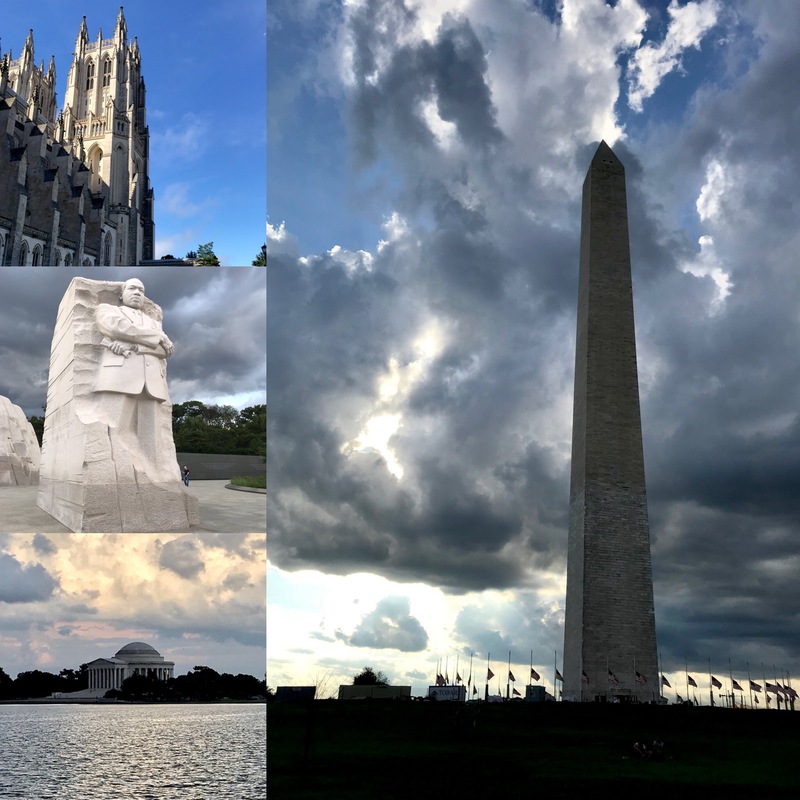 I had a number of good conversations about teaching, poetry, and writing. 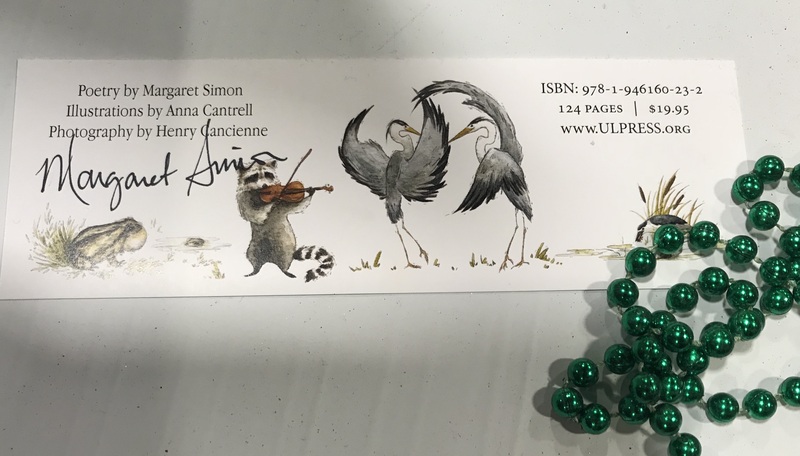 One parent and child asked me to sign the bookmark. I felt like Vashti from The Dot. Really? Yes, sign it. 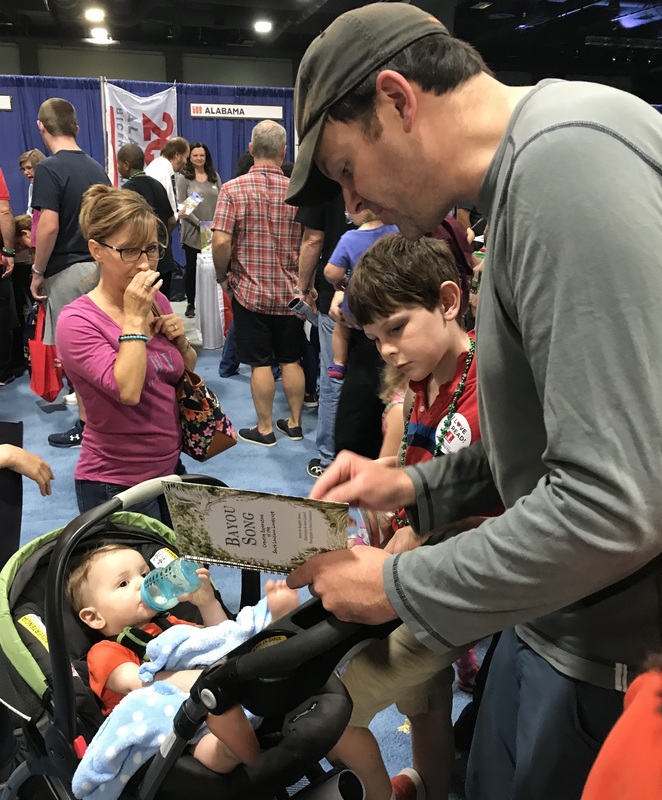 A man picked up Bayou Song and as I reached out to grab it back, I realized he was reading a poem aloud to his infant son while a taller, school-aged boy clung to him. So heartwarming to see this scene in the midst of the crowd. He explained that he is a stay-at-home dad and he reads poetry to his children every day. The National Book Festival is a huge free event that promotes literacy on all levels. On the kid level, there were activities and talks by authors like Kate DiCamillo, Dan Santat, and Jason Reynolds. For grown-up readers, there were some big names like Sonia Sotomayor, Amy Tan, and Roxanne Gay. The highlight of my day was to see two of my writing critique friends face to face. We palled around to a talk with poets laureate Tracy K Smith and Robert Haas. 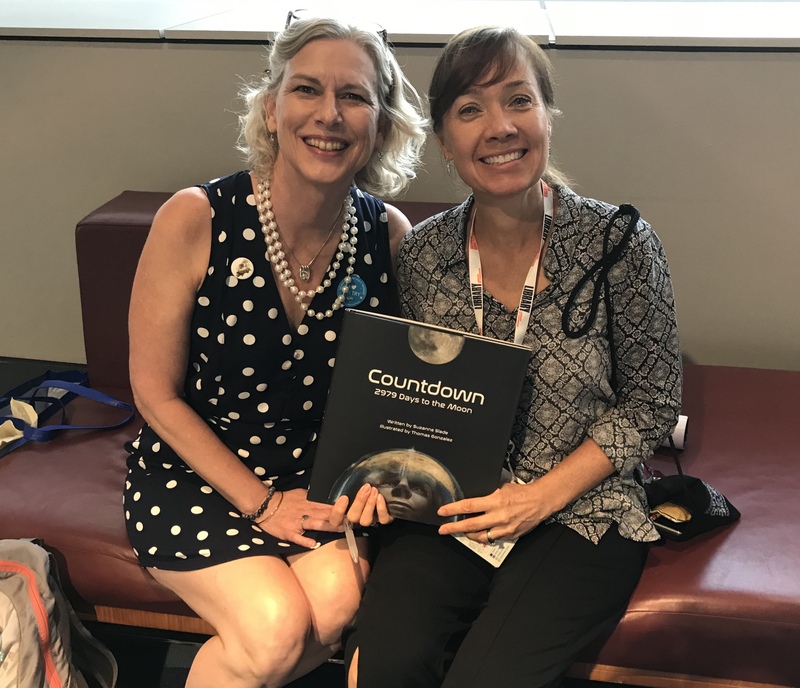 We also heard from a new-to-us author Suzanne Slade who presented about her new book Countdown. It’s written in verse! With amazing photos and illustrations. Later in the day as I waited for my husband who was listening to Jon Meacham, I saw Suzanne walking by. I waved her down and not only was able to get her to sign her book, but we also had a great chat about writing and publishing. Authors are just regular people who love to talk about their work.